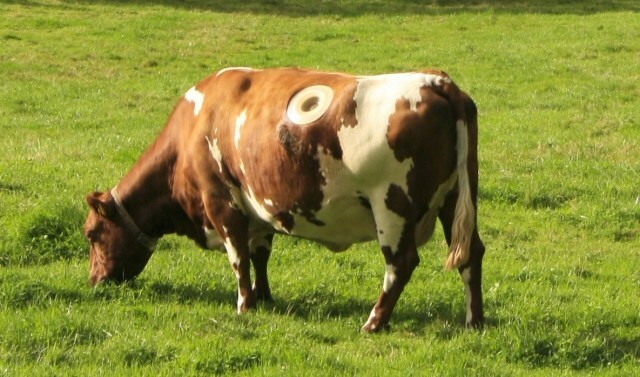 Researchers studying the enzymes inside cows cut a hole through the top of two so as to get direct access into their foreguts. They then incubated switchgrass inside the gut for 72 hours to see what enzymes worked to break it down. Cutting such holes, known as cannula, is common in the bovine research field.